Hey music-lovers! 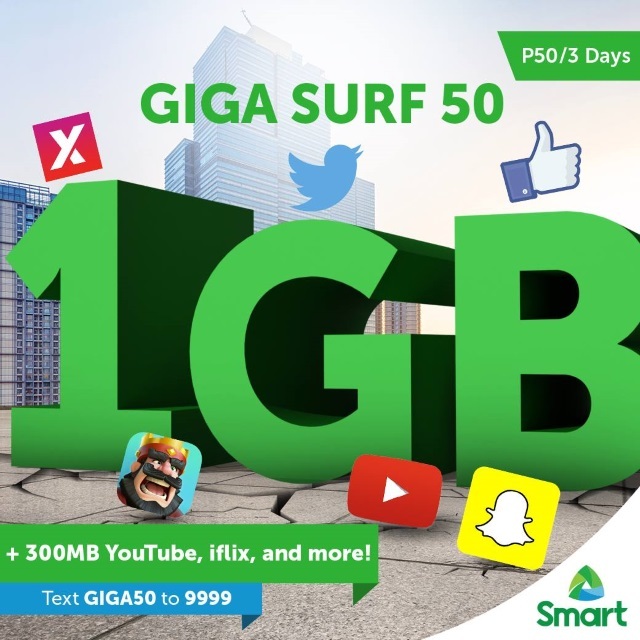 Smart Communications offers SMART Prepaid GIGASURF 50, where you enjoy listening to your favorite music through different Mobile App such as iFlix, Spinnr, Youtube, Vimeo, Dubsmash and more. Get this SMART GIGASURF 50 for just Php 50 which also includes 1GB Internet Surfing for 3 days.